In Previous post, we saw how to schedule a simple SOA composite using ESS. In this post, we see how to schedule a SOA composite which is secured by OWSM policy. Let's first secure the HelloWorld composite which we are going to schedule. To secure the composite go to Policies tab of that composite and click on Attach To/Detach From and choose service client. Choose wss_username_token_service_policy from owsm list and attach it to the composite. To schedule a SOA Composite , we need to follow same steps which I explained in previous post expect from below steps which we need to do when define Job. Once you are done with job definition, then we need to attach OWSM client policy to the job. 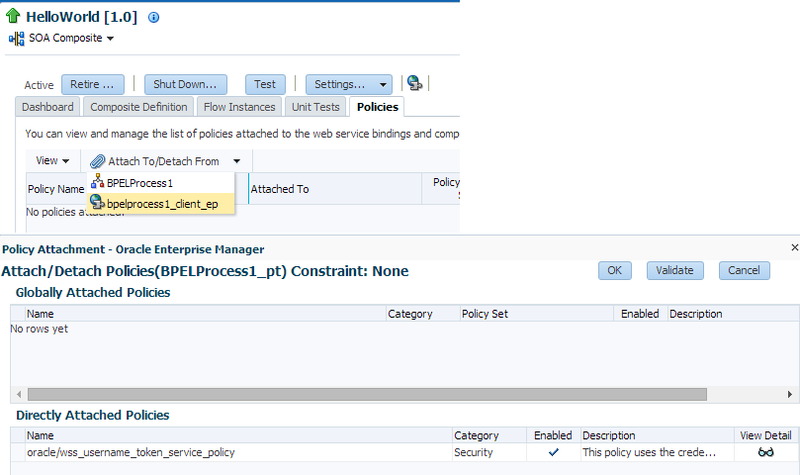 To attach the OWSM policy click on "web Service Policies" and choose Invoke. 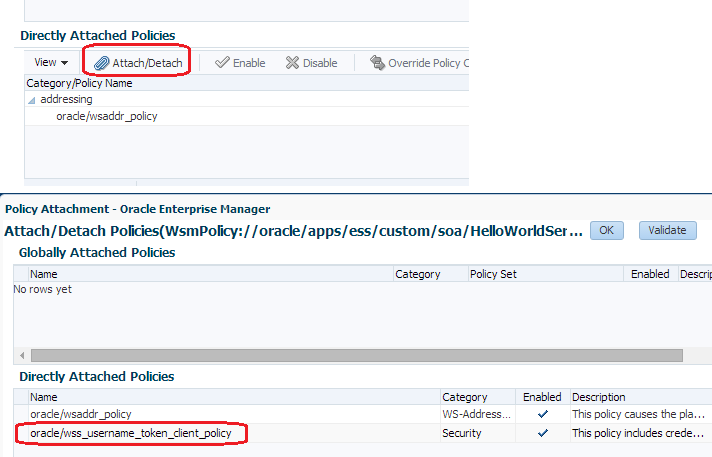 Click on Attach/Detach and choose wss_username_token_client_policy. Once we attach the OWSM client policy to the Job then we need to add the CSF-Key to it. Check this post, to see how to create CSF-Key. To add CSF-Key click on "Override Policy Configuration" and enter your CSF-Key name. Just add above mentioned steps to job definition to schedule secure soa composite from ESS.